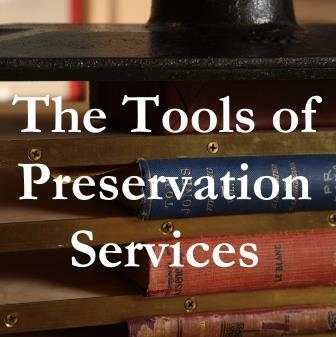 Inspecting or cleaning an entire reel of film requires the items seen in this picture. The handcranked rewinds at either end of the bench allow the practitioner to move the film back and forth at any speed he prefers; and while film reels can be mounted to these rewinders, it is more customary to use split reels, as seen here. Split reels are two flat discs that can be unscrewed so that film wrapped around a core can be placed between them. They are then put back together for use. 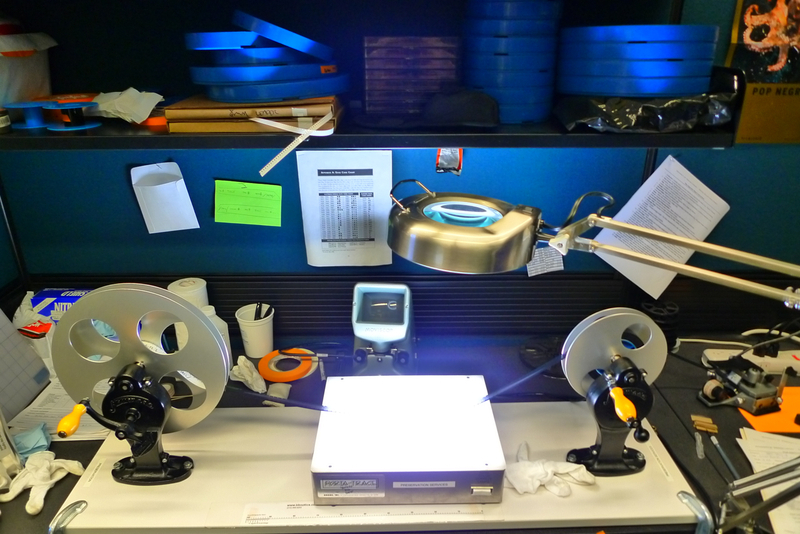 Additional equipment in this photo includes a Moviscop behind the lightbox, a splicer to the right, and film and archival cans and cores on the shelf above the rewind bench.